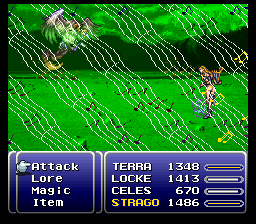 Back when Final Fantasy VI (Final Fantasy III US) was released the game was heavily toned down, censoring graphics and the like. When it was re-released for the Playstation, the graphics were uncensored but the toned down script remained. 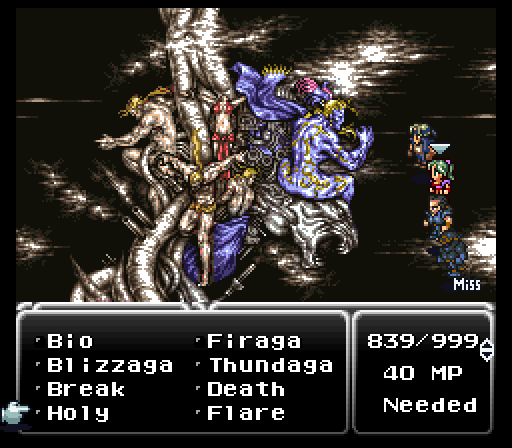 Then came Final Fantasy VI Advance with a mix a match, but the color palette and music were altered for the handheld console. Others made retranslations, such as the great work by RPGOne and Lina Darkstar. 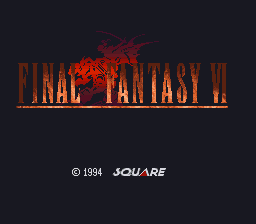 Now this is Final Fantasy VI: Ted Woolsey Uncensored Edition. The goal was to make the SNES version uncut and to clean up the script but keep the nuance used in the original script. 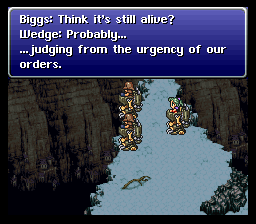 Using the original Woolsey script as a base, and by going over line for line looking at the FFVI Advance, RPGOne, and Lina Darkstar scripts, the game’s script is the best of both the past and modern localizations. 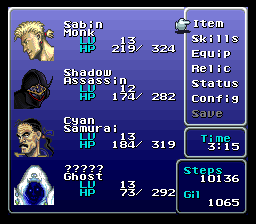 Also used was various tools and patches to uncensor the graphics, restore Character Class names, extend spell names, rename monsters and items, and make hopefully the version of Final Fantasy VI that everyone will play. Any bug fixes or additions that were used were chosen not for any balance changes, but to fix persistent issues in the game, as to not change the experience of the original too much. This even includes the long list used in the optional Bug-Fix versions of the game. Additional Add-Ons are also optionally included. These tweaks bring an overall complete experience that many would say should have been in the original game to begin with. The Music Player included with the game has been altered for compatibility with Ted Woolsey Uncensored Edition. Please refer to the additional patches read-me for details. Please be sure to report any issues in the forum discussion. Join in on the discussion here.